Guatemala has a rich assortment of traditional musical instruments and this hand-crafted Maya Goat Hide Drum is simple yet stylish. The Maya Goat Hide Drum base is from white pine, goat-hide and natural twine. Guatemala has a rich assortment of traditional musical instruments and this hand-crafted Maya Goat Hide Drum is simple yet stylish. The drum base is from white pine, goat-hide and natural twine. 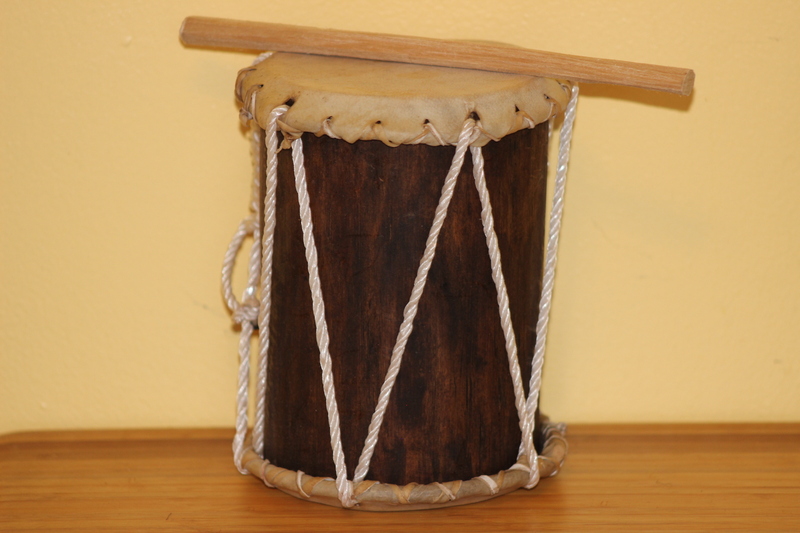 The Goat Hide Drum is created by Maya Kakchiquel, Joaquin Meletz, our artisan friend that makes a living creating a variety of drums, rattles, and other musical instruments. Joaquin Meletz currently lives in Los Encuentros, Solola and works at his home work-shop and continues to provide a variety of high quality musical products to Maya Color. The small Goat Hide Drum is 6 inches tall with a circumference of 8 inches. The Maya Goat Hide Drum is hand-made from all natural materials located close to his community.